Showcased recently at the 2015 Australian Community Support Organisation (ACSO) international criminal justice conference, the work of SSAC PhD Student, Eliana Sarmiento focuses on the role of drug treatment courts in defining addiction and shaping lives. Held in Melbourne in October, the conference was organised around the thematic question, ‘do prisons change lives?’ Eliana’s project was presented at the conference via a poster entitled ‘How do drug courts understand addiction in Australia? A Victorian case study’. The project aims to investigate how concepts of addiction are constructed in an Australian drug treatment court (DTC) and to explore their implications for participants and for public understandings of addiction. As part of the project, Eliana is conducting 20 in-depth interviews with key stakeholders in the DTC, including contributors to the establishment of the court, DTC personnel and participants. The interviews will be analysed alongside observational data collected during DTC case conferences and review hearings. The research will use a critical approach to the constitution of social problems based on the work of Carol Bacchi (2009). Drug Treatment Courts (DTCs) were developed in the United States in the late 1980s as a response to the perceived ineffectiveness of traditional criminal justice responses to AOD-related problems. Over the past 20 years DTCs have begun to emerge across the world. In Australia, the model continues to gain popularity in most states. DTCs aim to address the perceived association between crime and alcohol and other drug (AOD) use by providing individuals experiencing AOD ‘dependence’ or ‘addiction’ with intensive, supervised treatment. Most available research on DTCs is quantitative in nature and centres on exploring the effectiveness of DTCs in reducing AOD use and recidivism. Despite the growing significance of court-ordered treatment that combines rehabilitative and punitive elements to manage addiction, little critical attention has been paid to these hybrid approaches. In particular, little qualitative research has been conducted on the way DTCs define, conceptualise and treat addiction, and how DTCs conceptualise the ‘causes’ of addiction and its ‘effects’. Further, the research that has been done is primarily based in US and Canadian jurisdictions. As such there is a need for more research on Australian DTCs. 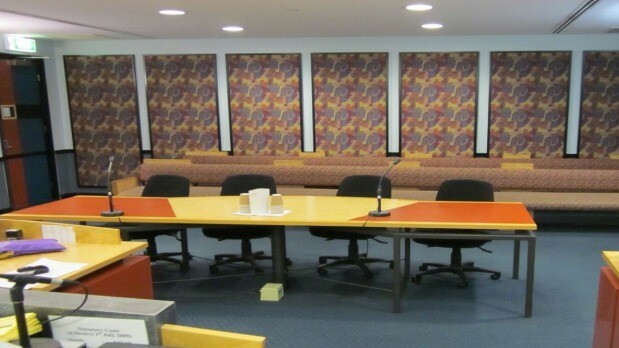 Thanks to the cooperation of the Drug Court of Victoria, the observational component of the project began in July 2015 and is nearing completion. Eliana has also commenced the interviewing phase of the project. Current or past participants of the Drug Court of Victoria interested in taking part in the research project should contact Eliana by email on dayan.sarmiento@postgrad.curtin.edu.au or telephone 0490 023 477. Participation involves a confidential audio recorded interview of about one hour; participants in this category will be reimbursed for their time.